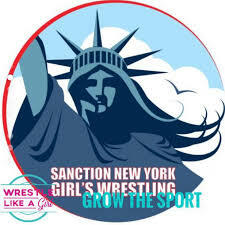 Earlier this summer, Section 9 coordinators met with New York State Public High School Athletic Association representatives, including Executive Director Robert Zayas, to discuss the process of making girls wrestling a varsity sport sometime in the future. The first step, according to Section 9 Wrestling chairman Jeff Cuilty, would be the creation of an all-girls sectional tournament which could become a reality as early as the 2019-2020 season. In order to have girls wrestling sanctioned by NYSPHSAA as its own sport, there will need to be at least 4 sections with 4 varsity teams. In order for the girls to have their own state tournament, there will need to be 6 sections involved in the initiative. Let’s continue to lead the way Section 9!!! Check out the Poughkeepsie Journal article by Stephen Hayes about this topic!